Prior to November 1 of the school year in which a child is enrolled for the first time in either kindergarten or first grade, the child shall be screened for disorders in hearing, vision, speech and communication, for general health or medical problems, and for developmental disorders. All kindergarten, first, third, fifth, and seventh graders will be screened for adequate vision and hearing. Referral forms will be mailed to parents when further evaluation by a physician is recommended. This screening, or any of its elements, may be provided directly by the School or by contract with another person or governmental entity. The School may also establish a list of approved providers of screening services and request the parents to utilize one of these providers. 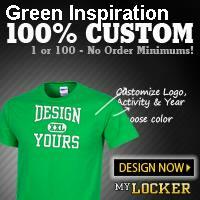 Green Inspiration Celebrates Over 18 years in Operation! Enroll your student in the Top Performing Elementary School In the District. 2017 State Report Grade: “B” in Value Added Scores. Don’t be placed on a waiting list. Enroll for the 2018-19 School Year Now. Get enrollment form here or call 216-378-9573. GIA is filled with Black History and we are celebrating this wonderful heritage!…we invite you to come see the student’s art works and awesome writing projects! Tuition in our progressive school is free. Find out more by contacting us and planning a visit or use our online quick enrollment form to get started. 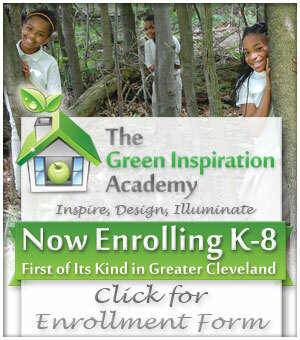 The establishment of the Green Inspiration Academy (GIA) will further diversify educational opportunities in the Greater Cleveland area as it offers high quality education to all types of students, concentrating on their individual academic and/or special needs. In addition, the school will also conduct regular assessments both for teachers and students to ensure the provision of high quality education.